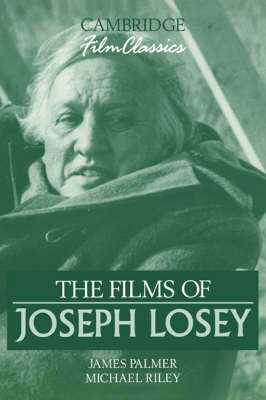 The Films of Joseph Losey examines the career of the expatriot director through a close analysis of five of his most important and challenging films. When his leftist politics made him a target of the House Committee on Unamerican Activities in 1951, the blacklisted Losey left America and continued his film career in England. Concerned mainly with the use and abuse of power inherent in intimate relationships, Losey also examined these issues as manifested in institutions and social classes. The book also examines Losey's close working relationships with playwright/screenwriter Harold Pinter and actor Dirk Bogarde, his experimental form of storytelling, the psychological complexity of characters acting as narrator of their own stories, and the intricate handling of time in the structure of his films. Close studies of King and Country, The Servant, Accident, The Go-Between, and The Romantic Englishwoman confirm Losey's stature as a director of powerful and compelling films of both moral importance and great formal complexity.